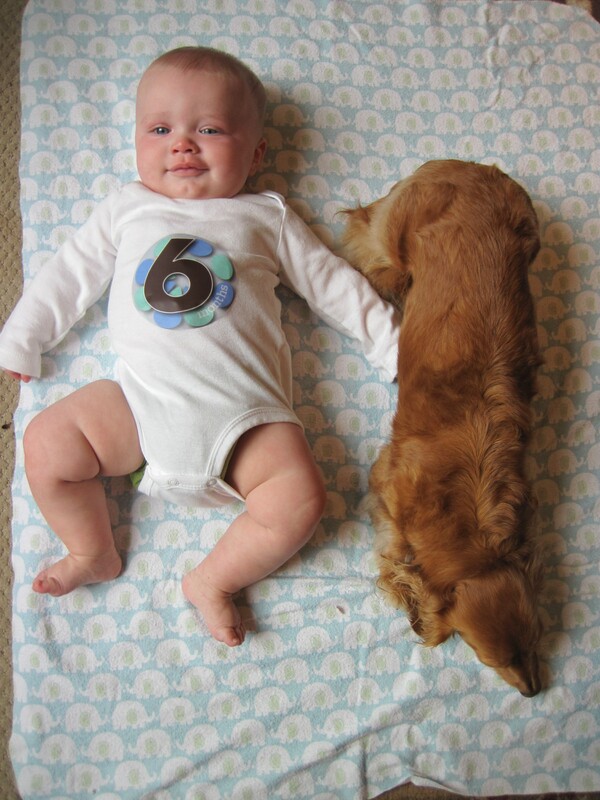 Kasen turned six months old on Sunday. 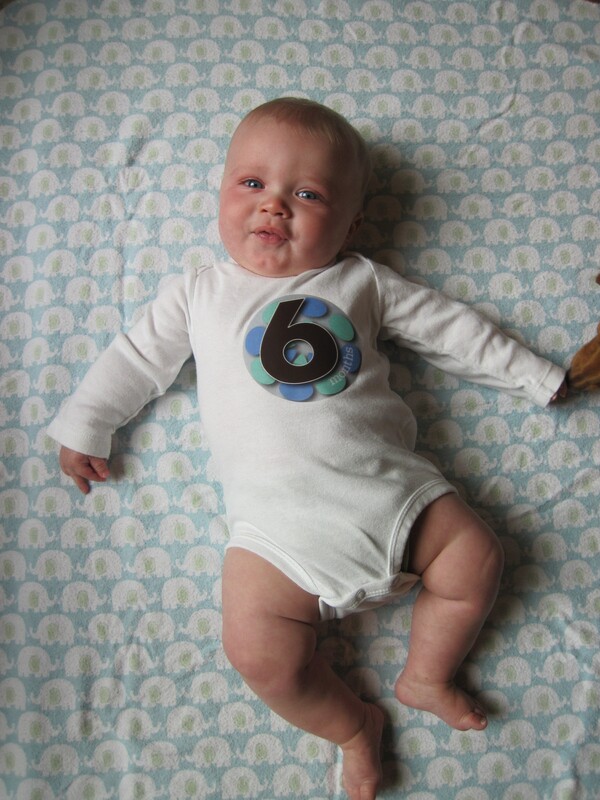 At his 6 month well visit to the pediatrician, he was 16 pounds, 10.5 ounces (33rd percentile) and 24.75 inches long (3.8th percentile – he needs every tenth of a percentile he can get!). At his four month doctor’s appointment, Kasen was in the 26.9th percentile for weight and 2.5th for length… so he’s growing! Click here to see the album of Kasen photos from months past. We chatted with the pediatrician about traveling to Europe (we are so excited to be able to bring him with!). 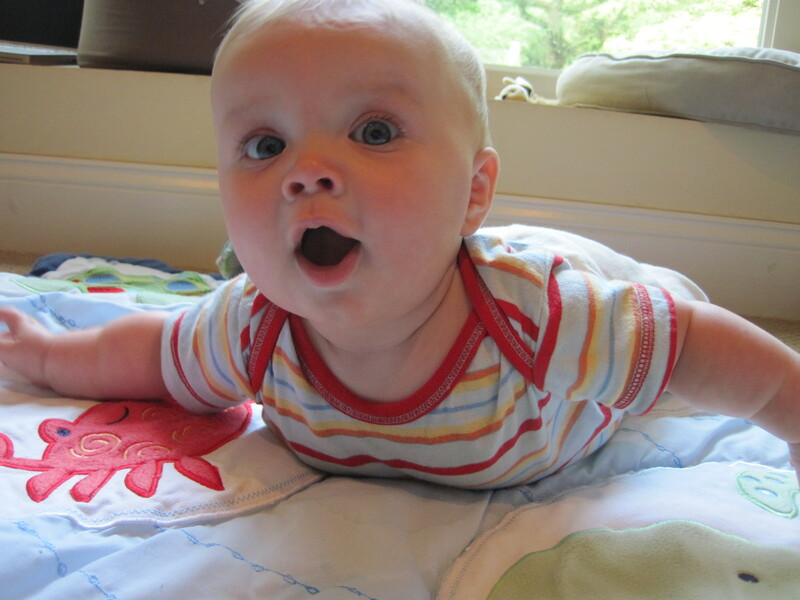 A big thanks to Mary Beth for suggesting that Kasen might need an early measles vaccine – the CDC recommended agreed. The pediatrician also talked with us about some upcoming challenges: using a sippy cup, starting finger foods (like Cheerios), and safety proofing our house. We are in for an exciting couple of months.